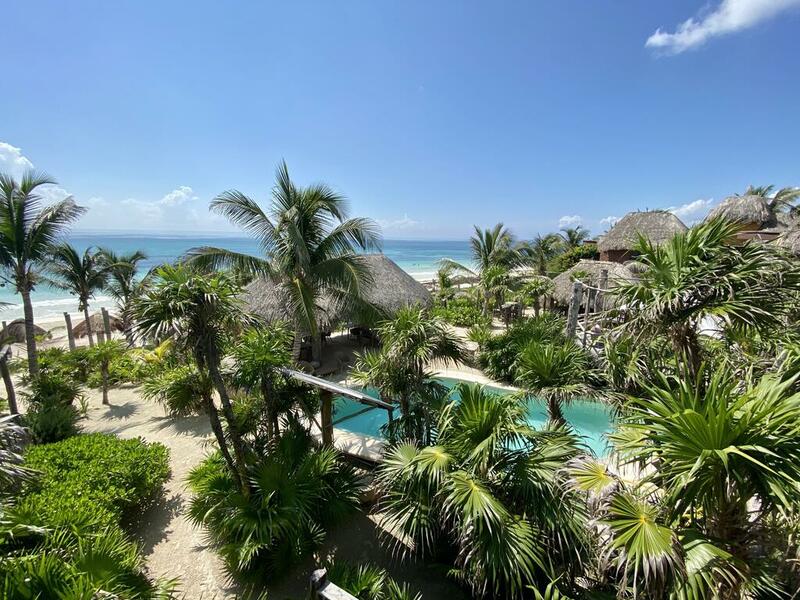 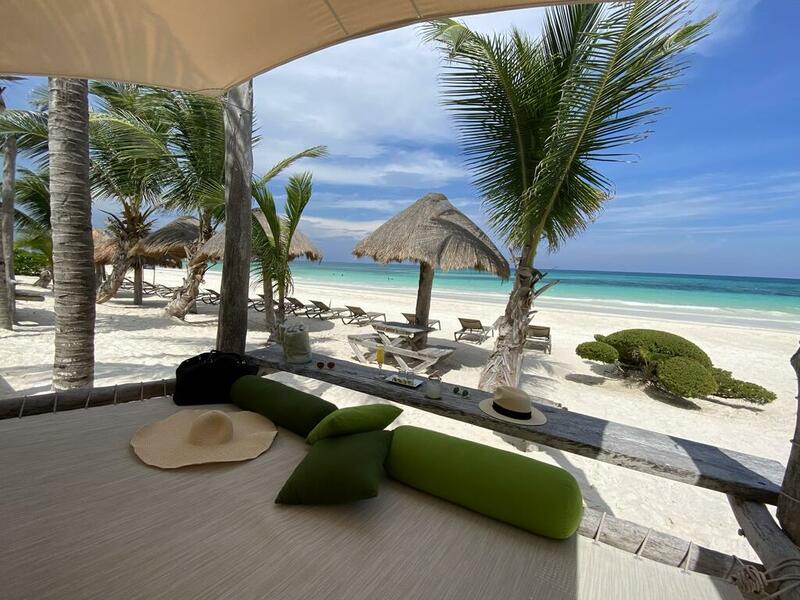 Sueños Tulum is a beautiful little eco-hotel with 12 rooms with electricity from solar panels located on the beaches of Tulum very close to the ecological reserve of Sian Kaan. 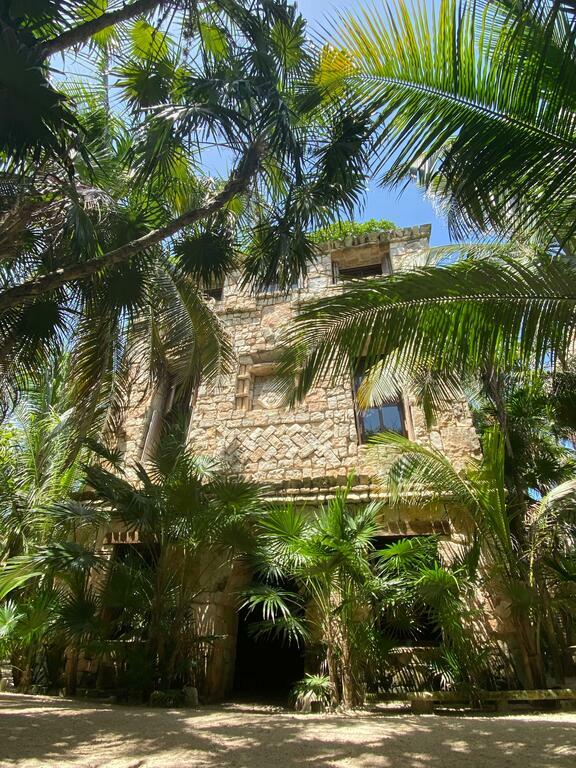 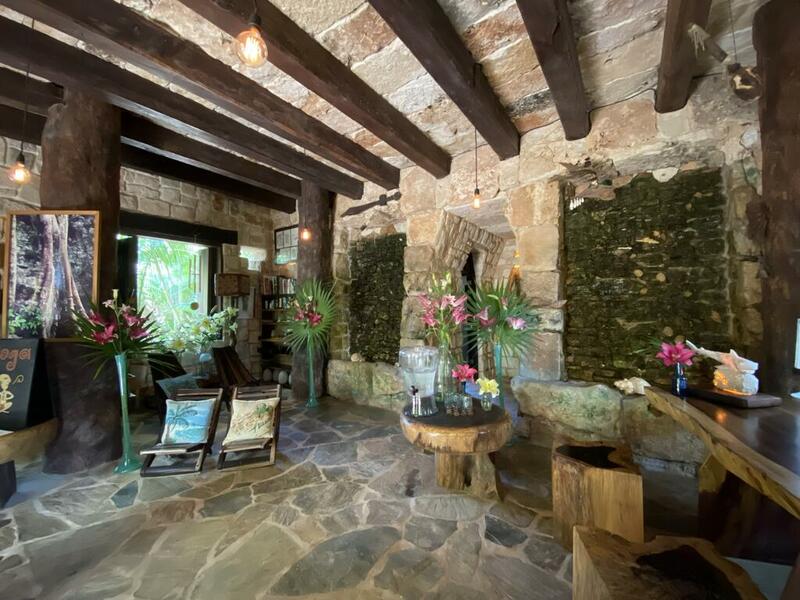 The small hotel has a beautiful beach and crystal clear waters, surrounded by lush vegetation, offers 12 rooms decorated with natural materials from the region and a touch of Mayan pre-Hispanic art with a very personal style. 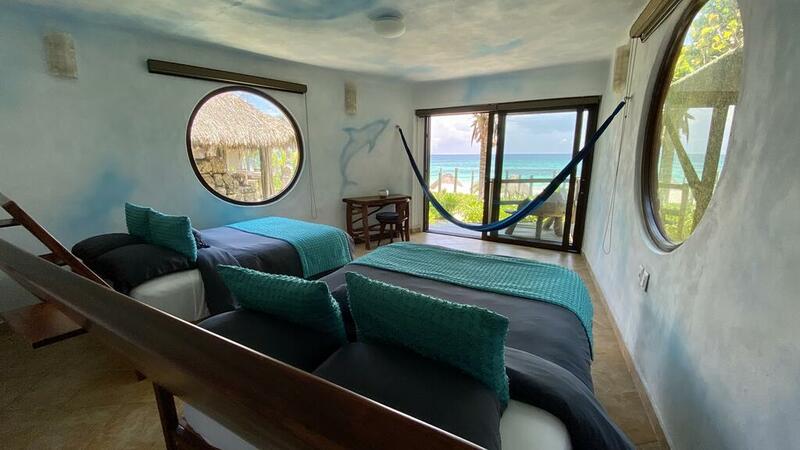 The rooms have electricity generated by solar panels, with private bathrooms and ceiling fans. 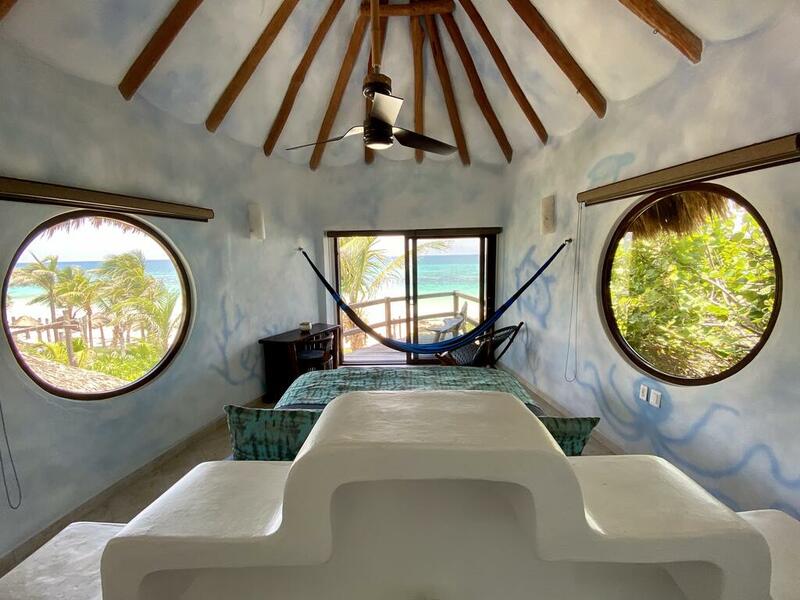 Each room has its own colors that refer to issues like the sea, the earth, the sun, the moon, the forest, where each room was individually hand painted. 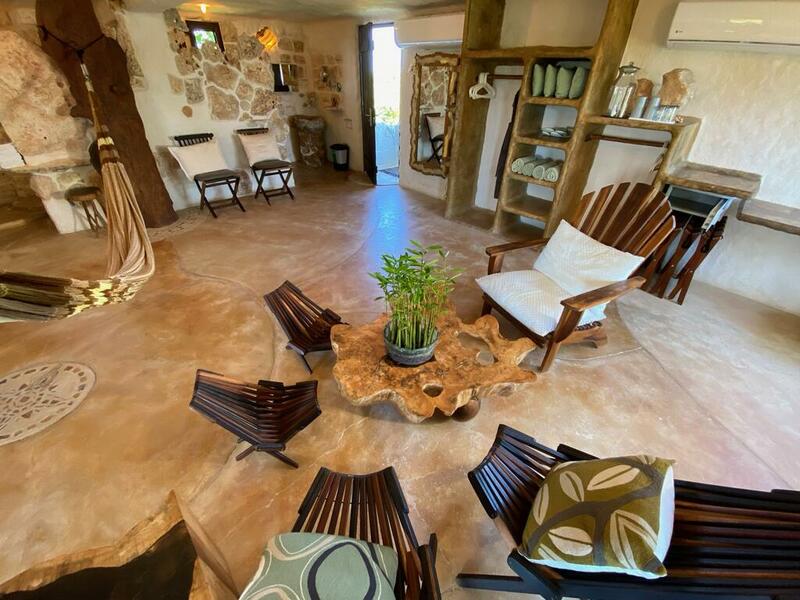 The bathrooms are tastefully decorated and furnished with Talavera.